Yogi Berra made his major league debut in 1946 and reached his first World Series in 1947. Yogi Berra, who has passed away at the age of 90, wasn’t just a baseball legend, but also an American hero, cultural icon and national treasure. Not too bad for the son of an Italian immigrant who grew up in St. Louis. Growing up across the street from another future baseball icon Joe Garagiola, Berra was an American Legion standout before signing with the New York Yankees in 1942. Starting his career with the Norfolk Tides, who were a member of the Class B Piedmont League, Berra once drove in 23 runs in a doubleheader. Like many other future baseball stars, Berra served in World War II. As a gunner’s mate, Berra served on the USS Bayfield during the D-Day invasion of France. Following the war, Berra returned to baseball and despite not possessing great size or athleticism, soon began turning heads with his baseball abilities. 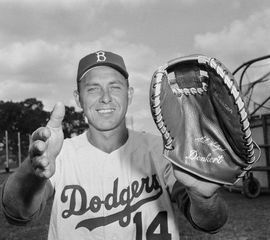 He was tutored as a catcher by Hall of Famer Bill Dickey and eventually followed in Dickey’s footsteps wearing number 8 for the New York Yankees. After appearing in seven games at the major league level in 1946, Berra appeared in 83 games in 1947 and was on his way to a long and illustrious major league career. 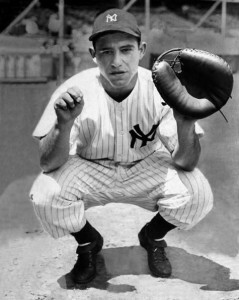 Berra made the first of his record 14 World Series appearances in 1947 and earned his first championship ring despite hitting only .158 with a home run and two RBI in six games against the Brooklyn Dodgers. 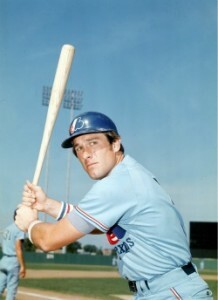 The following season Berra made the first of 15 straight All Star appearances while hitting .305 with 14 home runs and 98 RBI. The Sports Then and Now Vintage Athlete of the Month is a former major league baseball player who came into the game as a teenager and stayed until he was in his 40s. In between, Rusty Staub put up a solid career that was primarily spent on expansion or rebuilding teams. 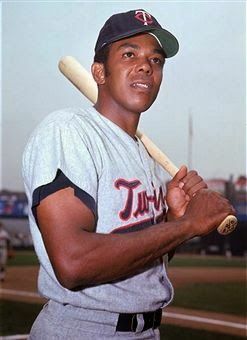 We recognize as the July Sports Then and Now Vintage Athlete of the Month a player who is always on the short-list of greatest players in Major League Baseball history. 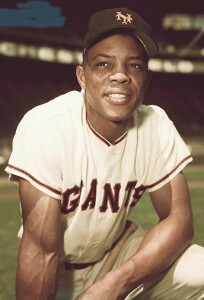 Willie Mays is one of three players (along with Hank Aaron and Stan Musial) to earn 24 All-Star appearances. After earning Rookie of the Year honors in 1951, Mays missed most of the 1952 season and all of the 1953 season while serving in the military. 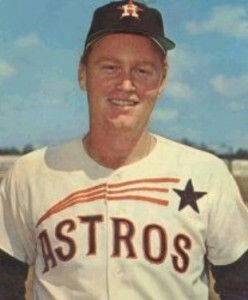 When he returned in 1954, Mays began a streak of 19 straight years earning an All-Star spot as he won the first of his two National League MVP Awards.